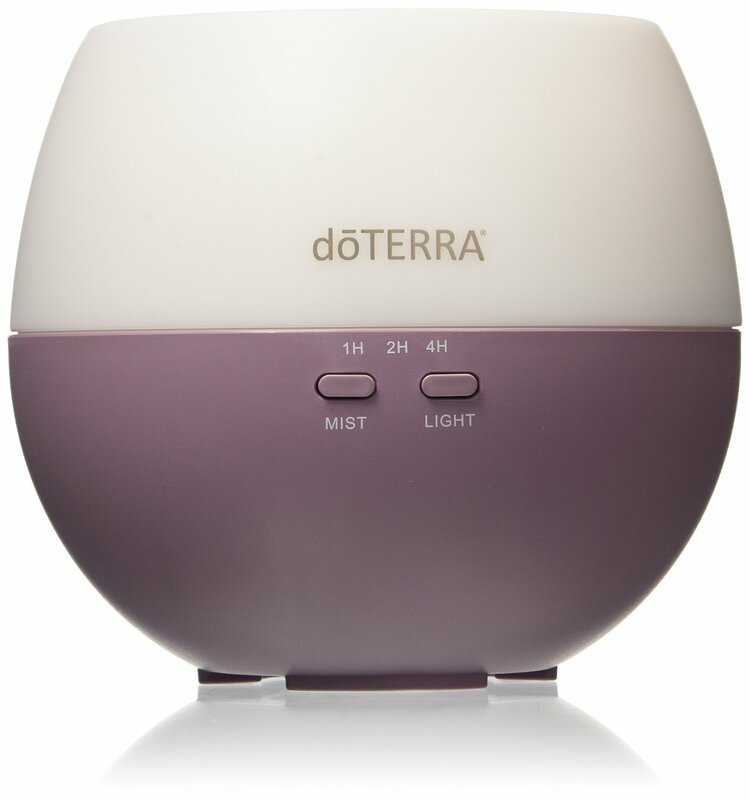 The doTERRA Petal Diffuser is a simple, beautiful, compact diffuser to get just the right about of moisture back into the air, while bringing you the benefits of your favorite essential oils. 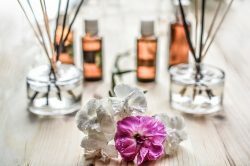 "One of the best oil diffusers on the market"
No longer do you have to book appointments or rely on professionals for a spa-like aromatic experience. 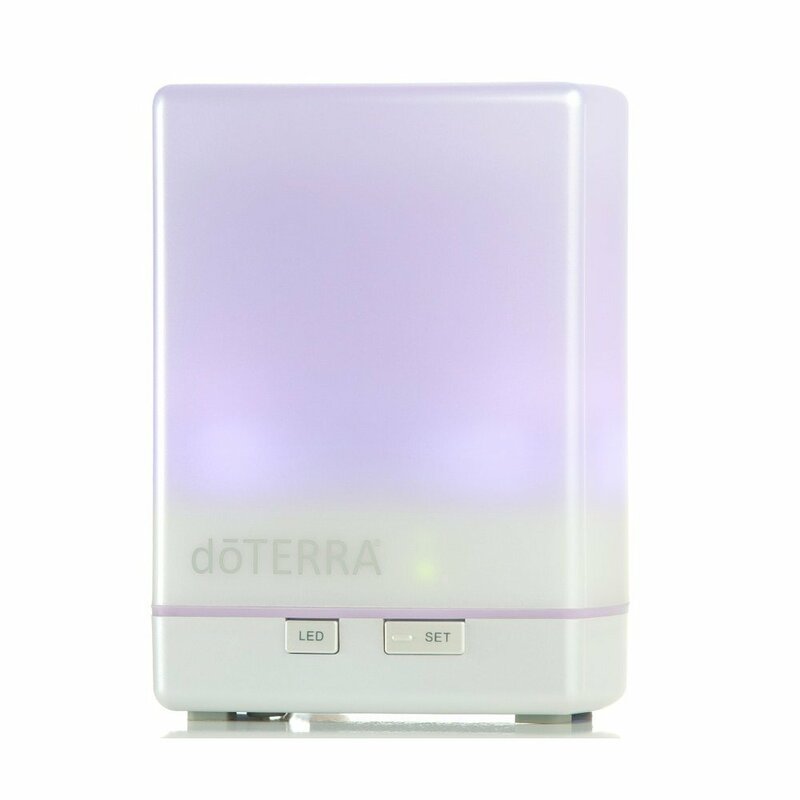 Diffusers like the doTerra petal diffuser let you reap the many health benefits of your favorite essential oil in the comfort of your home. 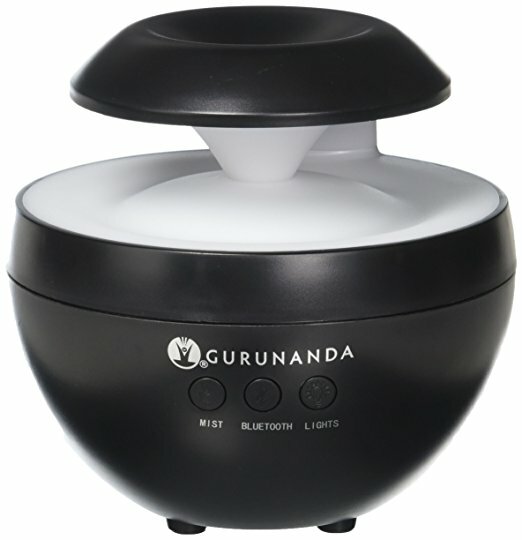 This diffuser may be small, but is stable, light and user-friendly, perfect for use in your home or office. 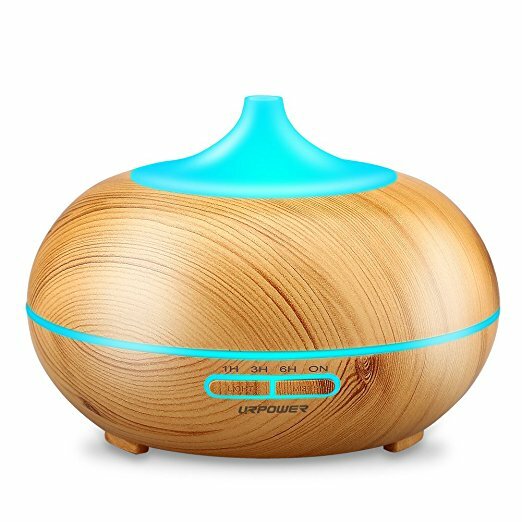 It produces a substantial mist which purifies and humidifies the air using 3 settings of 1, 2 and 4 hours for customized release of essential oils into the air. Easy and convenient to use, this affordable 3-piece diffuser is perfect for use by novices and experienced essential oil enthusiasts to produce a mist which covers up to 330 sq. ft of space. Its soft white ambient light makes it ideal to enjoy your relaxing mist even at night. It makes no noise and is safe enough to use even in a sick child’s room to create a calming ambiance and to give your child a good night’s sleep. Both its fragrance and moist air creates a calming effect on sick children. 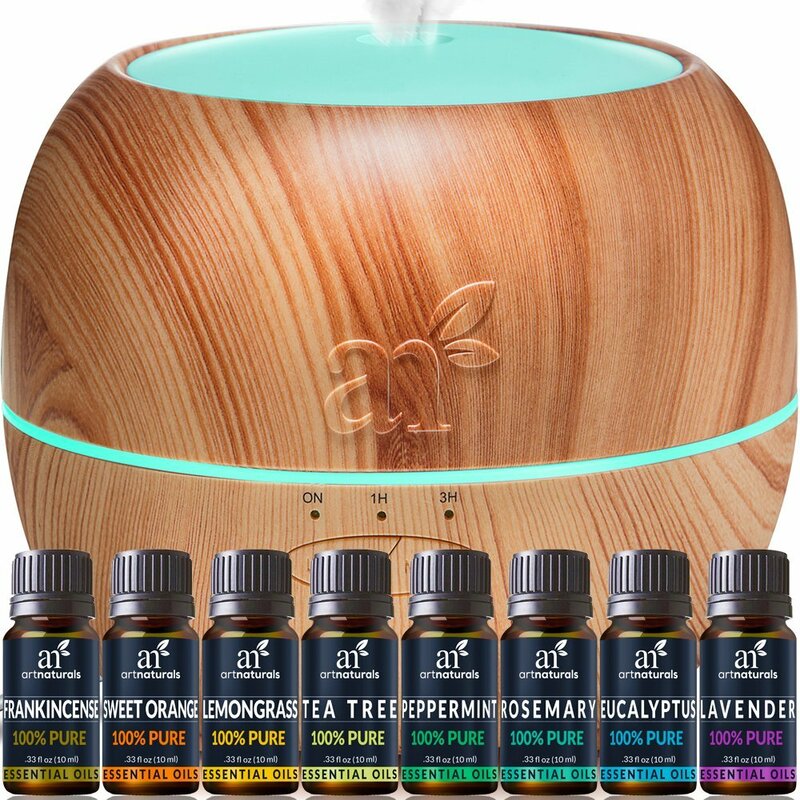 You can also use the diffuser to relax while taking a bath, to moisturize your dry, flaky skin, to add moisture to your dry sinuses and even help you relax while on long drives using essential oil aromatherapy. You can choose the desired strength of fragrance as the diffuser’s intensity is adjustable and its deep-water reservoir holds sufficient water to use the diffuser continuously for 8 hours. 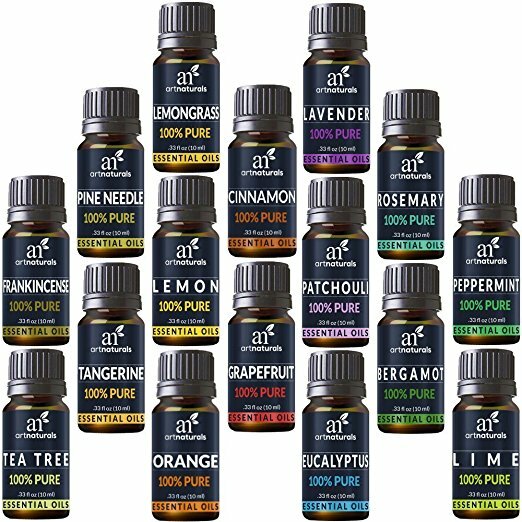 All it requires is 4-8 drops of your chosen essential oil for 4-8 hours of operation with 4 mist settings. Just press the power button once for 4 hours’ of continuous mist and if the button is pressed for 8 hours of use, the diffuser produces intermittent bursts at 15-second intervals for 8 hours or till there’s water in the reservoir while covering 330 sq.ft area. 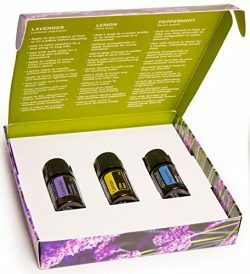 doTERRA is known for their products and the Petal Diffuser is no exception. People especially love how sturdy this diffuser is. If you have pets around, kids, or are just always in a rush and bumping into things, this is a great diffuser for you. 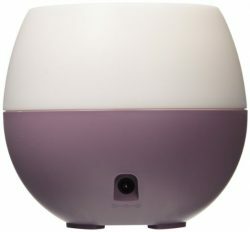 It is a perfect, simply shaped, easy to use, diffuser to keep next to your bed, desk, or a small to normal sized space. Some people have noticed that when they open the top to add more water, there is a little bit of water, from condensation, that might drip from the lip. If this happens, just make sure to put a small towel, decorative dish, or something below it to catch the water. If you are looking for a diffuer to last throughout the night, the 4 hour run time might not be enough for you. 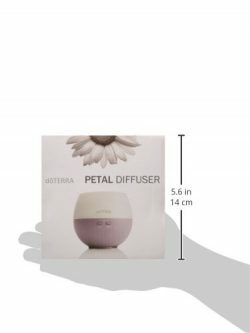 See what you like about the Petal and compare it to the other diffusers from doTERRA or the enchanting Rockano diffuser, which last up to 10 hours! I’ve had this one for more than a year. It’s great, and I see that the price has dropped quite a bit since I purchased mine.